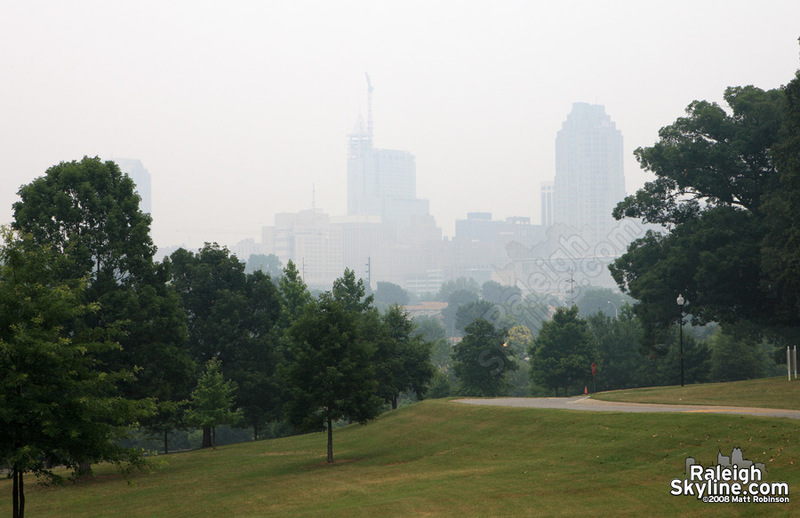 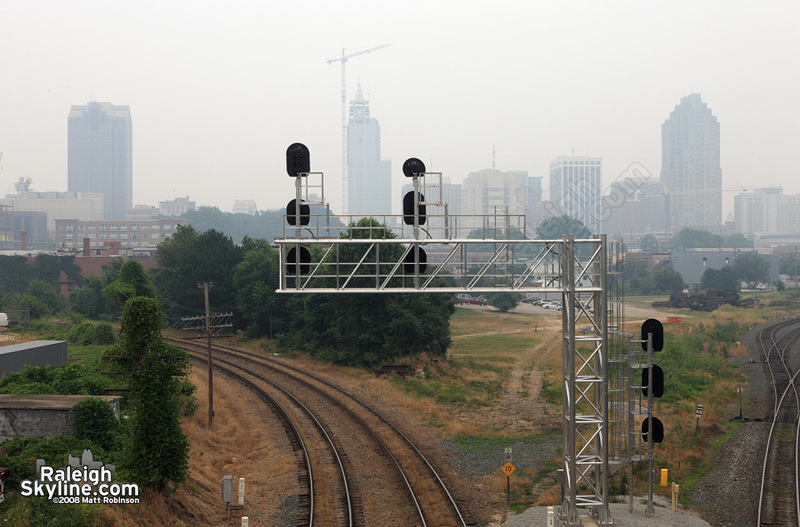 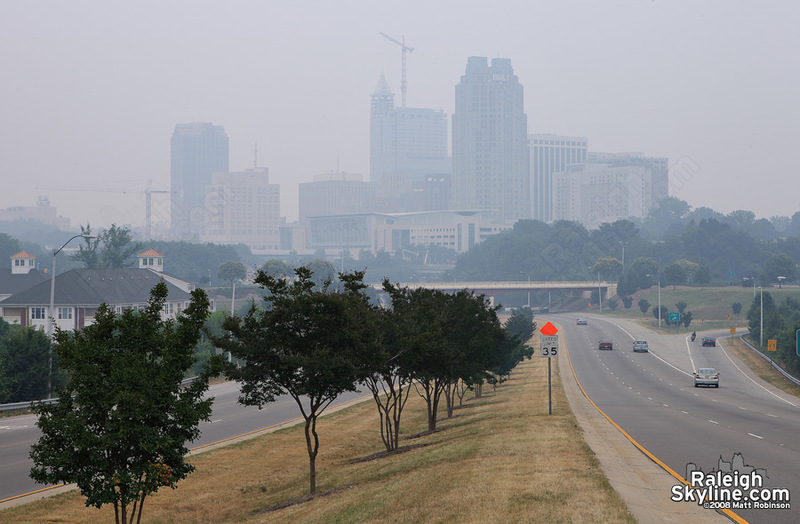 Smoke from a wildfire in eastern North Carolina has reduced visibility levels around the triangle. 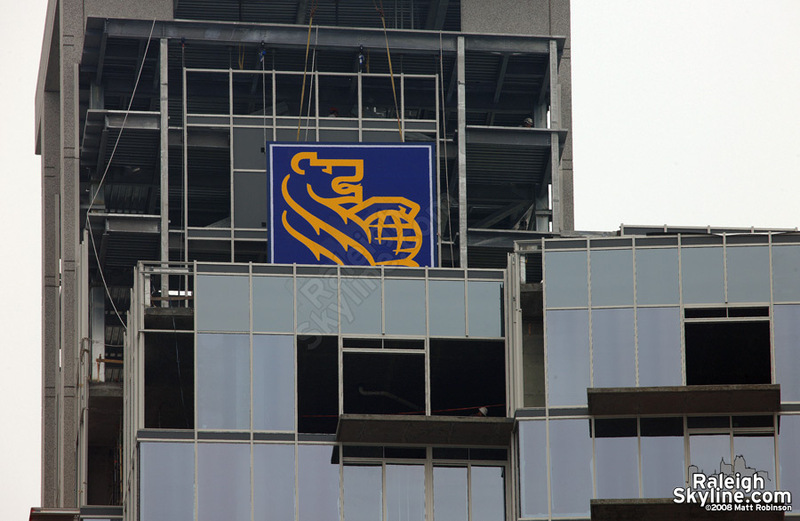 Meanwhile, RBC Plaza and Raleigh Marriott received their logos. 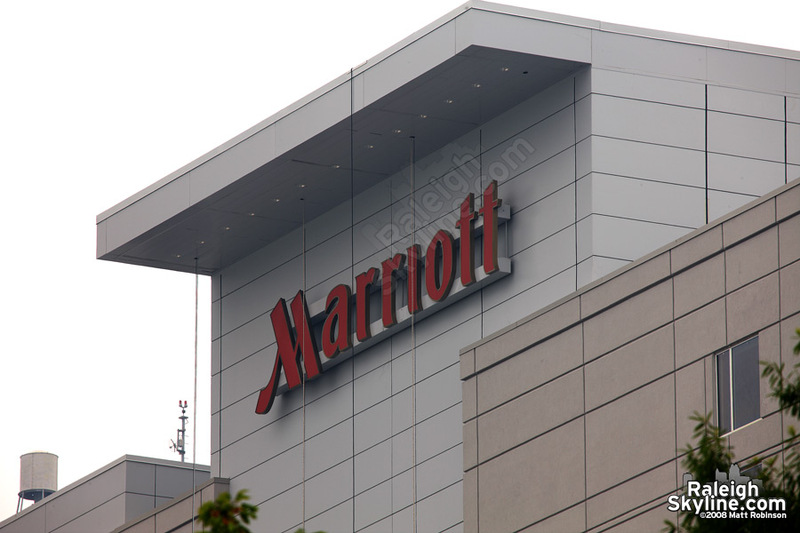 Raleigh Marriott sign atop the “City Center” hotel.